1. Separate croissant rolls into individual sections. 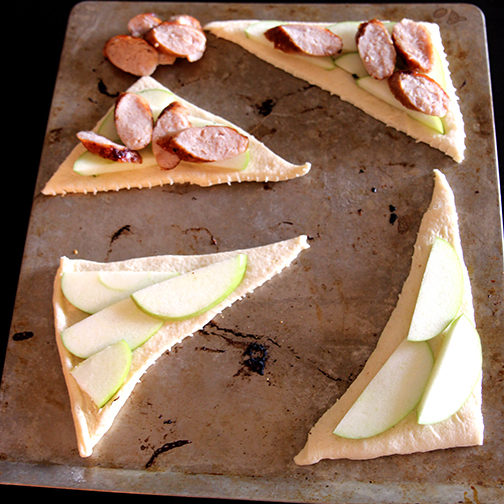 Top with one slice apple and some sliced, cooked Premio Sausage. Sprinkle cinnamon and drizzle with honey. 2. Top croissant with another croissant and pinch close, forming a pocket. 3. Bake the croissants in the oven, according to package instructions. Remove from oven and enjoy.